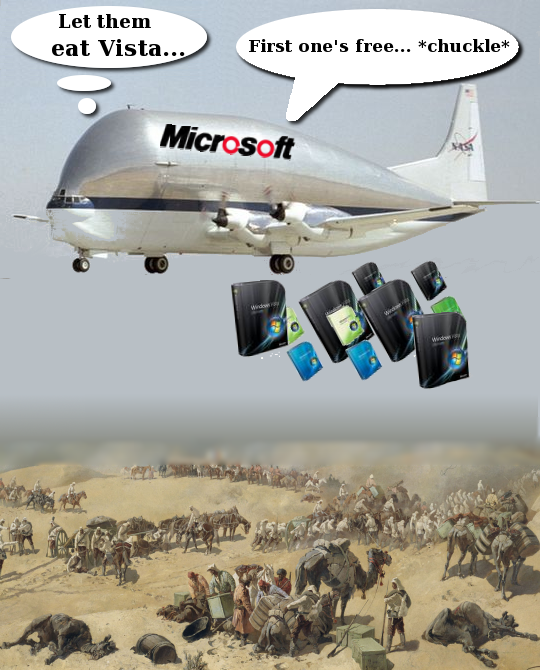 IT IS trivial to tell when Microsoft is losing market share. It starts giving products for free and sometimes even pays (bribes) for people to have them gratis. We covered some examples before, but we wish to draw readers’ attention to new evidence of these tactics, which are indicative of misery. In response to the threat of Free software, not so long ago Microsoft introduced two programmes that it dubbed DreamSpark and BizSpark. The language used here, as in Silverlight, is deceiving, because it characterises lock-in using light (spark), which tickles and messes about with people’s inherent connotations. This is intentional, it’s not a coincidence. Silverlight used to be called Sparkle when it was first conceived or developed. We recently wrote about the impact of this in India. They are spreading Silverlight binaries around the Web, then lock innocent people in while they are young. They use those very same people to also fight the openness and interoperability (in the cross-platform/browser/device sense) of the Web we all share. This simply means that Office rivals are doing exceptionally well, so just as EDGI documents suggest, Microsoft is willing to make no profit provided that competition gets blocked. All the above articles totally miss this important point and just parrot Microsoft’s press release. Ew. That split column theme is horrible. Please don’t do that.